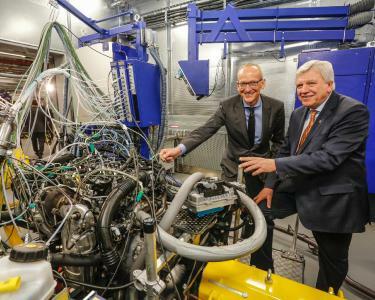 Only two years after the groundbreaking ceremony the new, ultra-modern Global Propulsion Systems Center at Opel’s Rüsselsheim headquarters is ready to go into service. 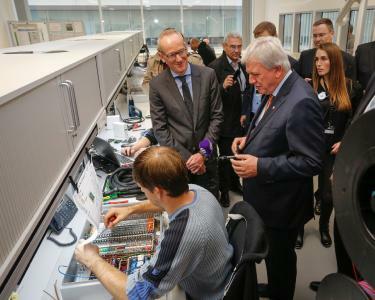 Volker Bouffier, Prime Minister of the federal state of Hesse, who took the opportunity to take a close look at the impressive building complex, attended the official inauguration ceremony. 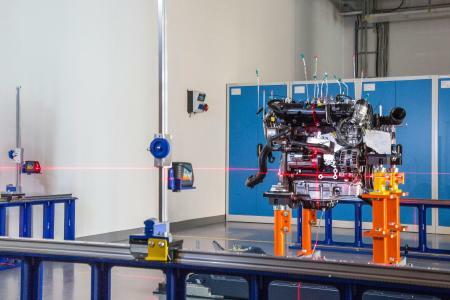 More than 800 engineers and technicians will develop the propulsion systems of the future in the complex with a surface area of around 36,000 square meters. 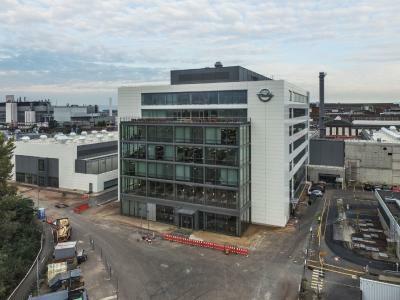 The complex not only has a technology center and office space but also 45 latest generation test dynamometers. 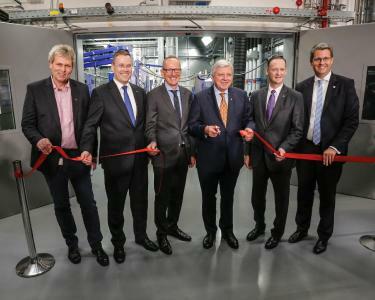 The €210 million invested in the new Global Propulsion Systems Center is the biggest single investment in buildings in Rüsselsheim since the inauguration of the new production plant in 2002. 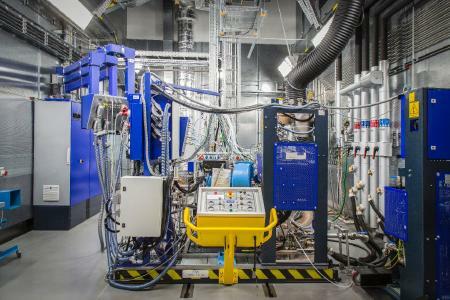 “The future will quite literally be shaped in the new Global Propulsion Systems Center. 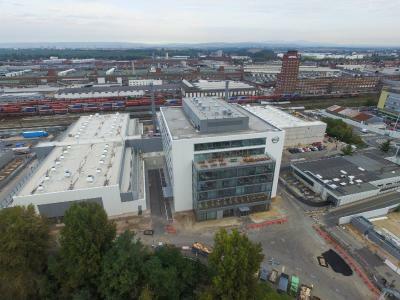 Rüsselsheim is one of the most important centers of innovation in our state and it has become an internationally competence center, especially in the mobility sector. Products, concepts and solutions that are used around the glove are developed here. This importance is once emphasized by the new center. The investment made by Opel is a clear commitment to Rüsselsheim and I am happy that the company will continue to shape the future from here. 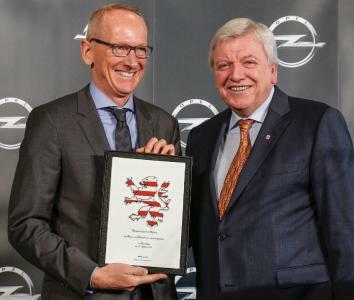 Opel is a key part of Hesse and a piece of Hessian identity,” said Prime Minister Volker Bouffier. Opel CEO Dr. Karl-Thomas Neumann and Uwe Baum, Deputy Chairman of the Opel Works Council, welcomed Prime Minister Bouffier. Dan Nicholson, GM Vice President Global Propulsion Systems was also present to greet the guests. “The new development center will make our work even faster and even more efficient. 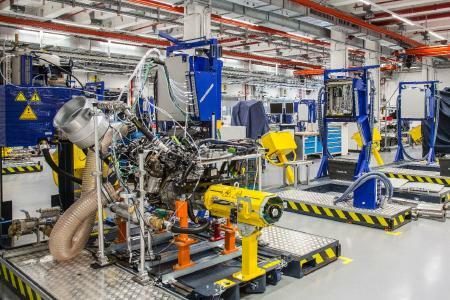 It not only strengthens Opel but also Rüsselsheim and the entire GM development network. 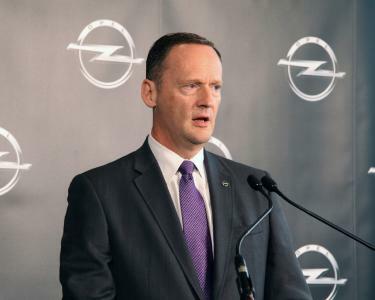 Opel and its parent company General Motors want to remain one of the pioneers of clean propulsion systems as seen with the new groundbreaking Ampera-e electric car,” emphasized Dr. Karl-Thomas Neumann. “This new center is a very important strategic investment. 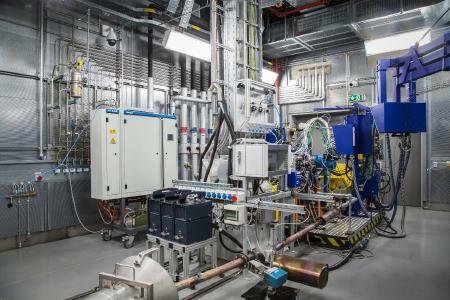 We will develop the propulsion systems of the future here by using ultra-modern tools and a total of 45 new dynamometers. 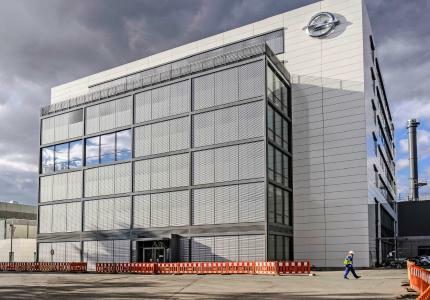 GM decided to build this center in Rüsselsheim for good reason. 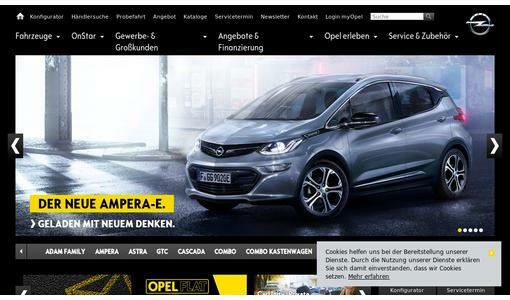 It is a sign of appreciation for the performance and the know-how of our highly-qualified Opel engineers. 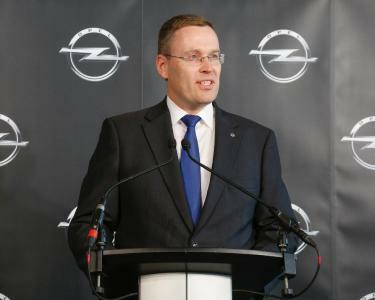 The global network makes GM and Opel especially strong,” said Dan Nicholson. 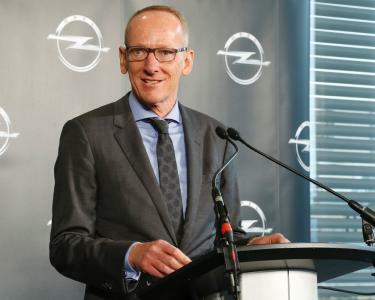 Uwe Baum, Deputy Chairman of the Opel Works Council, added: “This investment is an important step for the future and proof of the growth and employment opportunities at Opel. 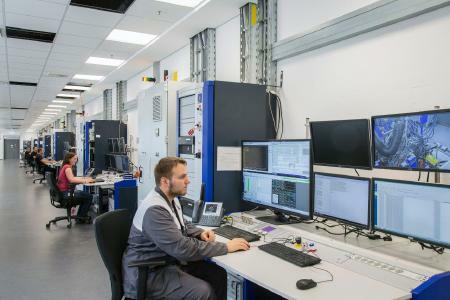 The center for propulsion systems will help us secure work places and competences at the development center, as already agreed in the ITDC labor contract. 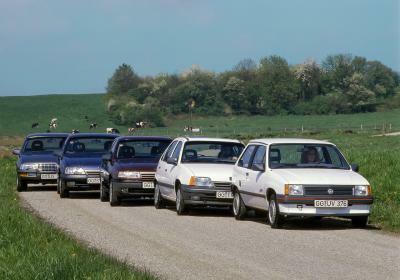 Today is a good day for Opel and for Rüsselsheim. 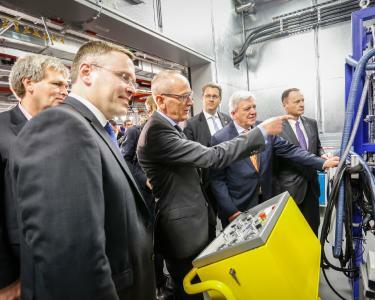 This new construction is part of the €230 million investment in new testing and development facilities at the International Technical Development Center (ITDC) and at the Development Center in Rodgau-Dudenhofen announced two years ago, with most of the total amount being invested in Rüsselsheim. The facility is integrated in the global development system of GM Global Propulsion Systems. The output can be optimally evaluated and implemented thanks to the internationally standardized testing procedures and software.